Authorities in Scandinavia are warning of high winds amid storms following a long spell of hot, dry weather, while Germany's national railway works to reopen routes closed the previous night due to storms. Authorities in Scandinavia warned of high winds Friday amid storms that followed a long spell of hot, dry weather, while Germany's national railway worked to reopen routes closed the previous night due to storms. Across Norway, ferry companies cancelled crossings on Friday. Authorities warned hikers of fierce winds in the mountains and called on people to securely fasten small boats, tents and other gear. In Thy, in northwestern Denmark, high winds apparently blew a metal tent peg into a 61-year-old camper's throat as he was packing up. He was taken by helicopter to a hospital and was in serious condition, police spokesman Henrik Nielsen told public broadcaster DR.
Parts of northern Germany saw storms Thursday evening and overnight, with winds up to 140 km/h measured along the country's coast. The gusts brought down trees and significantly disrupted public transport. Germany's railway operator, Deutsche Bahn, closed several train routes in the north on Thursday night as the storms approached. On Friday, it said long-distance service between Hamburg and Hannover and between Hamburg and Bremen was expected to resume only in mid-afternoon. There were some disruptions on other routes. Authorities warned of heavy rain and strong winds for parts of Poland, particularly the centre and south, on Friday. In France, around 1,600 people were evacuated Thursday in three southern regions due to storms and flooding. 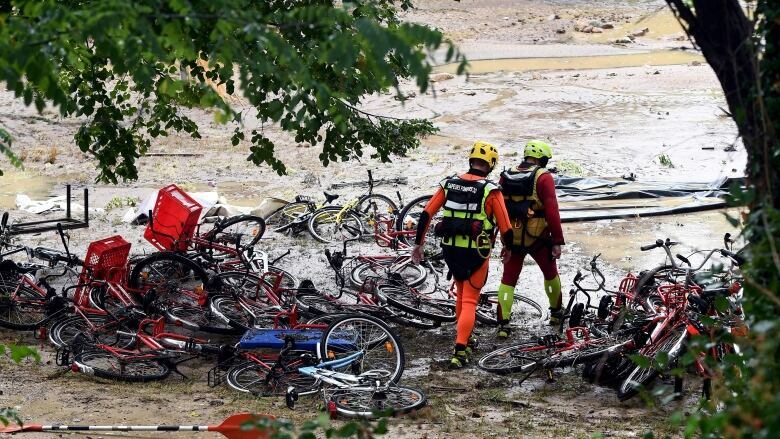 Flash flooding in the Gard region turned the Ceze and L'Ardeche rivers into churning waterways that quickly spilled out of their banks. Some 119 children, many of them from Germany, were evacuated from the Saint-Julien-de-Peyrolas campsite in Gard. More than 400 police and firefighters, aided by helicopters, helped in the evacuations. "I've been coming since [the] early '80s, when I was a teenager and I've never seen anything, anything like it," Tom Bryan, a Briton vacationing in a nearby village, Saint-Andre-de-Roquepertuis, told Sky TV. "The [water] level was so high it was impassable on either bank. Campsite is gone, restaurants gone and such a high amount of water. My wife saw a whole caravan float down the river," he added. 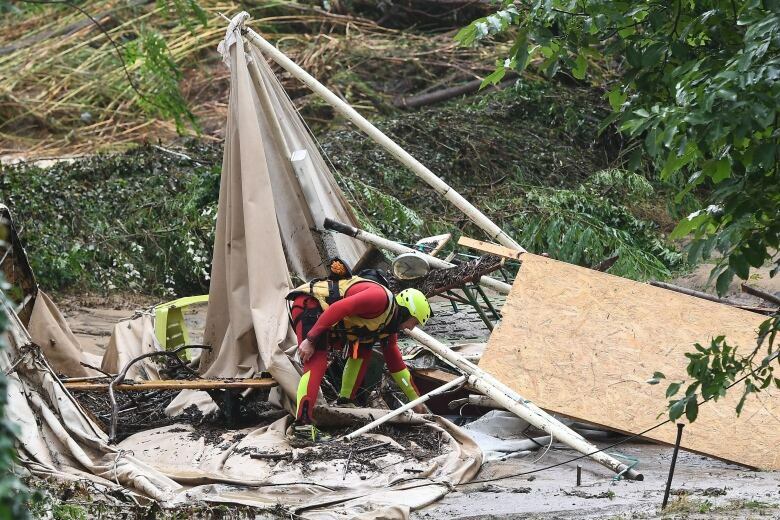 The region's chief gendarme, Col. Laurent Haas told BFM-TV, said 46 adults also were rescued but search teams were still looking for a missing 67-year-old German man whose van was reportedly swept away. However, Hass said authorities were still "not certain he was actually present" when that happened.